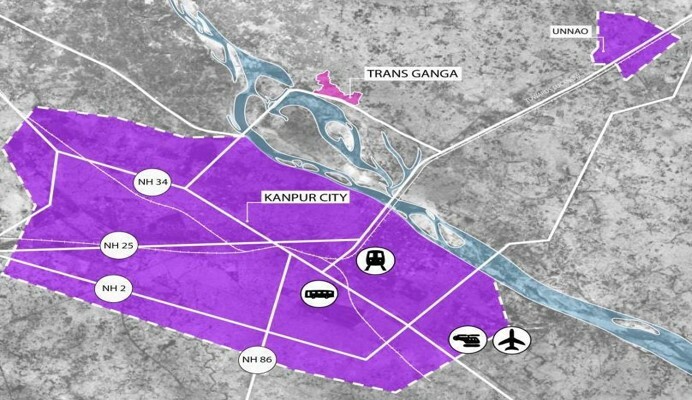 Trans Ganga Project is spread over 1144.1 Acres of near Kanpur. Current Rate 10850 INR/Sq. mtr. for industrial & 18000 INR/Sq. mtr. for residential. 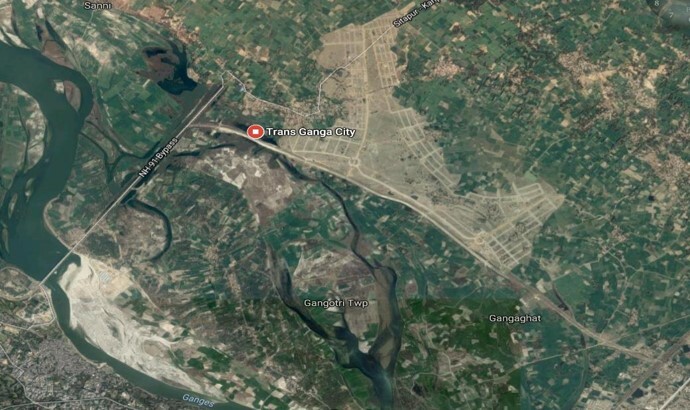 Trans Ganga City is being developed as an Industrial Model Township with industrial, residential and commercial sectors. Situated within burgeoning belt of Kanpur and Lucknow zone. Being developed as an Industrial Model Township with industrial, residential and commercial sectors. Situated within burgeoning belt of Kanpur and Lucknow zone. 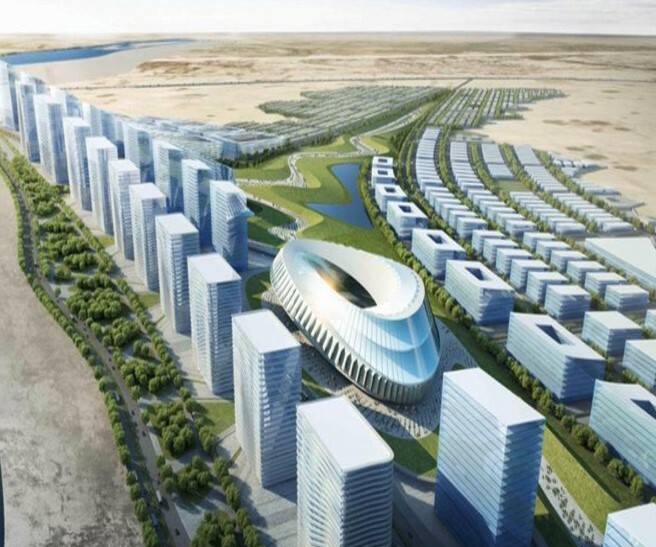 The city design has been planned at two levels. 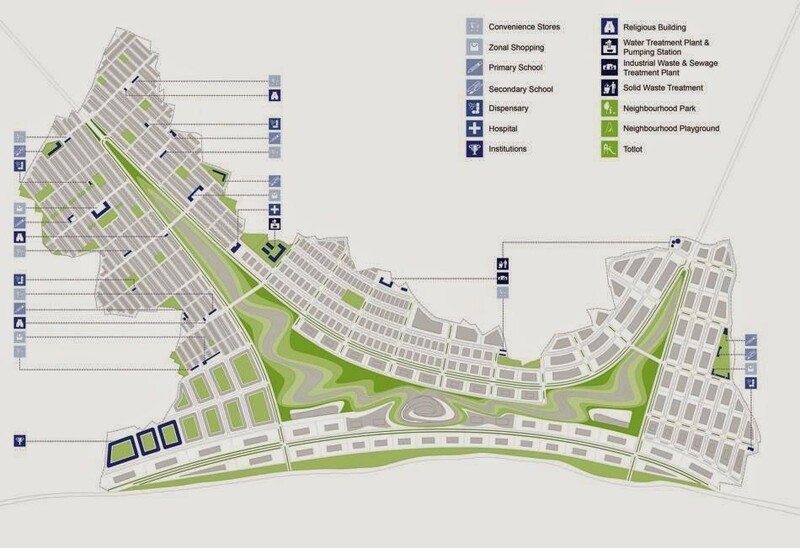 First, with the design level elements required to make the city sustainable. Second, the implementation of green roof, earth cooling, solar panels, ground water recharge & waste management. In heart of the project, an iconic auto expo mart is planned, making it a prominent visual marker. 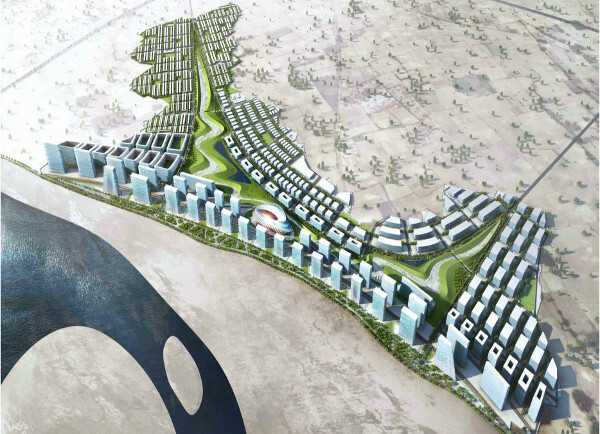 An amalgamation of cluster with various project based activities creating a functionally rich urban plaza. Provision of 24x7 power supply. 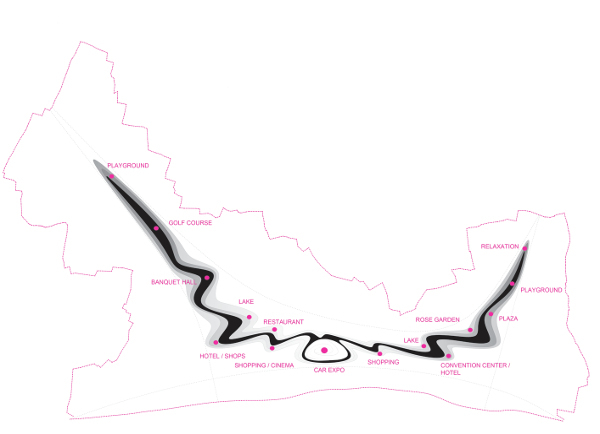 Provision for mall, exhibition centre, golf course, commercial, residences and retail shops. Beautiful landscape with water bodies. Self-sufficient in terms of water supply and sewage. Adequately planned Sewerage Treatment Plant (STP). Multiple choices for industrial, commercial & residential areas. Planned commercial, residential and elementary infrastructure for industrial units. Utility infrastructure of water supply, roads, drains, street light. Emergency infrastructure of police and fire stations. Independent overhead water tank to provide uninterrupted water supply. Ample parking facility with greenery in the area, providing a healthy surroundings. Iconic towers to be designed along the Ganga riverfront. Two distinct types of land parcels are proposed, flatted factories and industrial plots. The total area of Industrial Land available is appox. 9,71,246 Sq. Mt. (240 Acres). Proposed industries include Food Processing, MSME’s such as Engineering Goods, Assembly Units, Leather (Non Polluting) ,Textiles Garments and ESDM industries. With ever burgeoning demand on residential infrastructure in Delhi NCR people will be naturally attracted with job opportunities and connectivity to Delhi. Smart city concept will make life easier and quality of life will improve. With transit time lessening, work life balance of society will improve, giving rise to a healthy population. Aims to be a self-sustained city with commercial establishments such as shopping complexes, malls, theatre, multiplexes, restaurants, auto showrooms, hotels, auto expo centre and other commercial establishments. The area will also have a special golf course for recreational purposes. As an integrated township the focus is on encouraging various institutions such as schools, colleges, universities training & skill development centres to make this zone an attractive destination for investments. It consists of three site for educational institutions to develop the zone as a world class education hub having facilities from primary schools to post graduation level. Situated at a distance of approx. 75 kms. from Lucknow Airport & Kanpur Rail Station (approx. 10 Km). State-of-the-art infrastructure with Wide open roads, solar powered light ,modern Auto Expo-mart ,Exhibition centre, multiplexes, mega malls, parks & group housing society. Provision for additional facilities include modern Auto Expo-mart, Golf Course, ample Green zones, Exhibition center, multiplexes, mega malls, parks & group housing societies. 3 Km from Ganga Barrage at Kanpur. 10 Km from Kanpur central railway station. Located on Sitapur - Kanpur Road (NH-91 Bye Pass). 11 Km from Lucknow - Kanpur highway (NH-25). 75 Km from Lucknow airport. Situated on Delhi-Howrah railway route. About 90 km from Bhaupur, upcoming Eastern Dedicated Freight Corridor (EDFC) station. Close proximity to the State capital Lucknow. Gate No. 4 Shankarpur sarai Distt. Unnao.